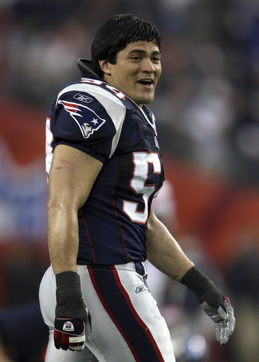 Bruschi is a former football player for the University of Arizona and two-time consensus All-American. He was drafted by the New England Patriots in the third round of the 1996 NFL Draft, and played his entire 13-season, professional career with the Patriots. Bruschi won three Super Bowls and was a two-time All-Pro selection.